This is simultaniously awesome and hilarious. I’m not sure if this is worse than texting while driving or not, but it sure does sound better. Youtuber Mehdi Ansari uploaded this video of him making some live Acid while driving using a Roland TB 303 and TR 606. I bet they sound awesome pumped through some serious auto woofers! 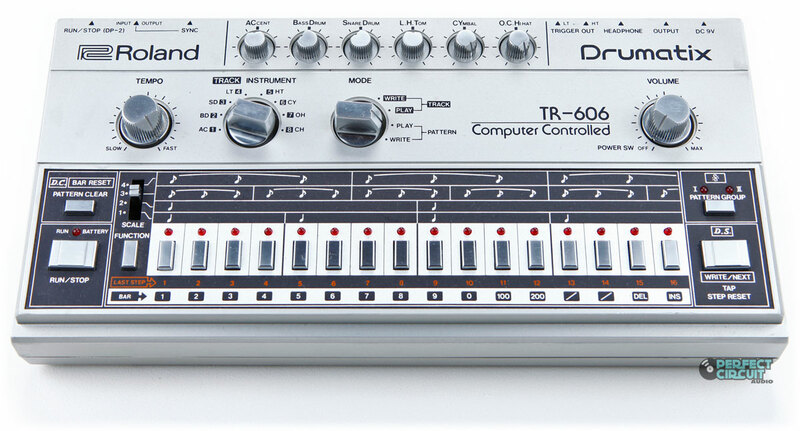 This entry was posted in Electronic Music, Entertainment, Musical Curiosities, Video and tagged roland tb 303 comprar, roland tb 303 ebay, roland tb 303 for sale, roland tb 303 precio, roland tb 303 samples, roland tb 303 segunda mano, roland tb 303 vst mac, roland tb-303, roland tb-303 bassline, roland tb-303 mercadolibre, roland tb-303 vst, roland tr 606, roland tr 606 drumatix ebay, roland tr 606 drumatix manual, roland tr 606 ebay, roland tr 606 for sale, roland tr 606 manual, roland tr 606 manual pdf, roland tr 606 schematics, roland tr 606 segunda mano, roland tr-606 drumatix, roland tr-606 emulator, roland tr-606 repair, roland tr-606 vst on March 16, 2015 by DemonicSweaters.